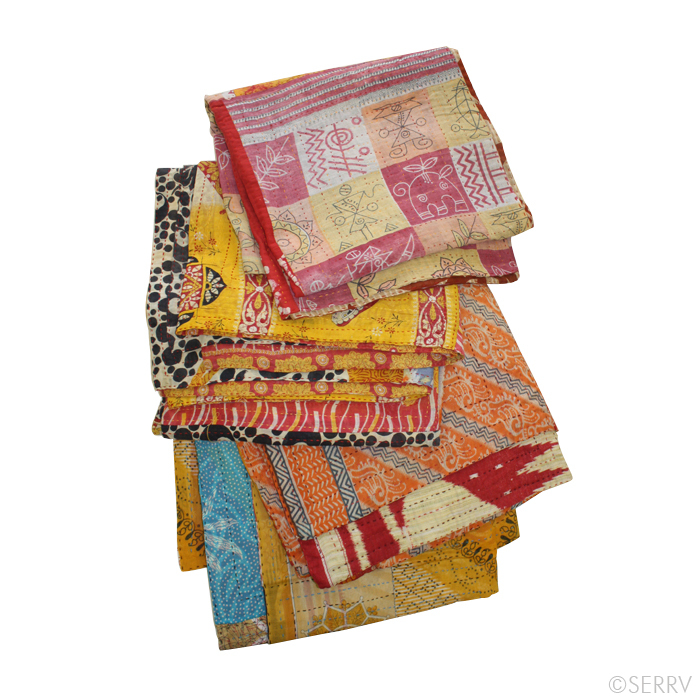 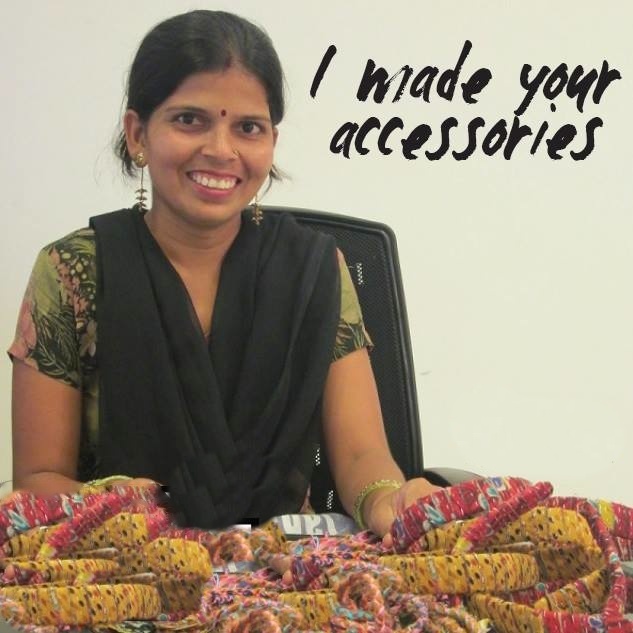 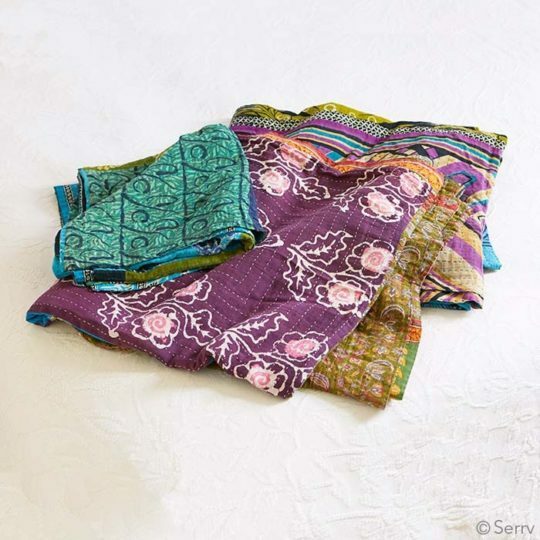 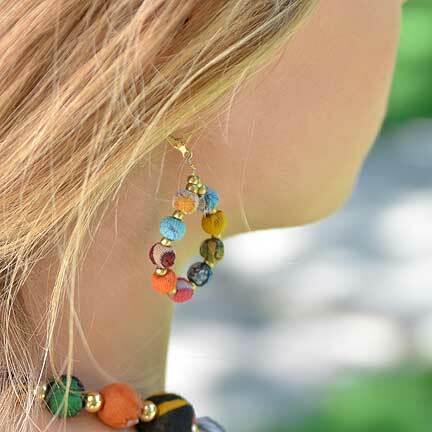 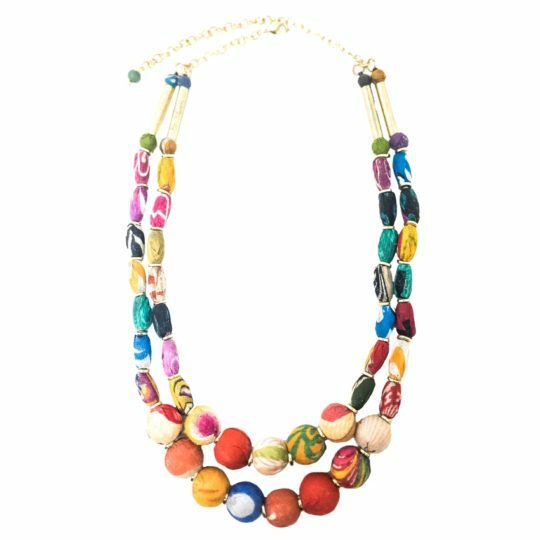 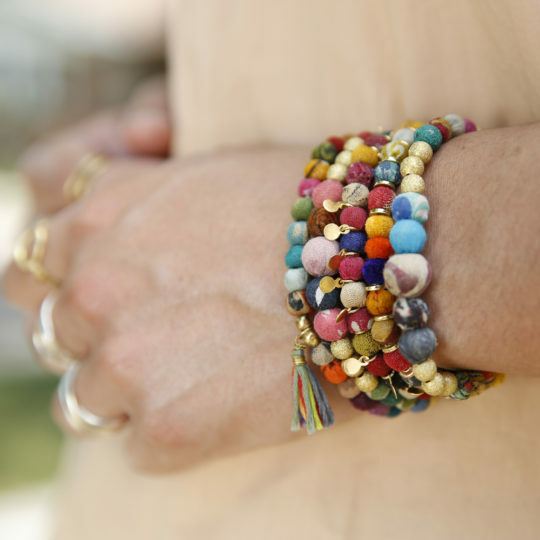 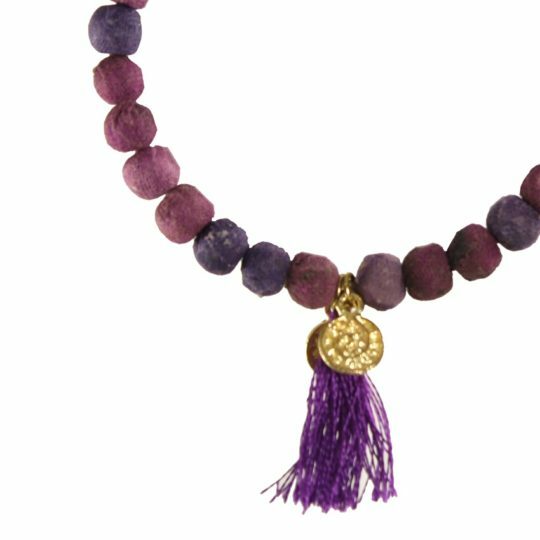 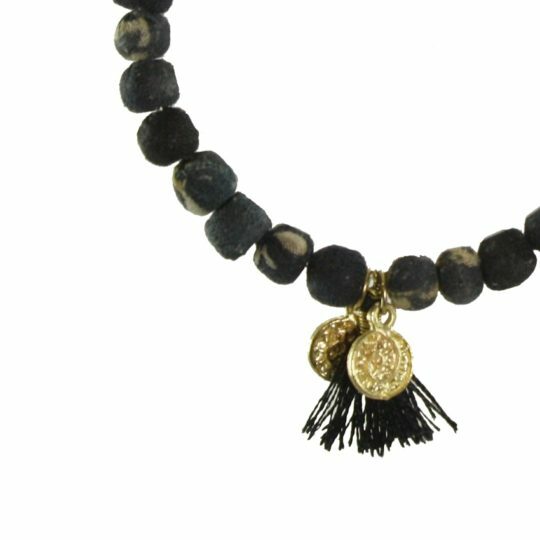 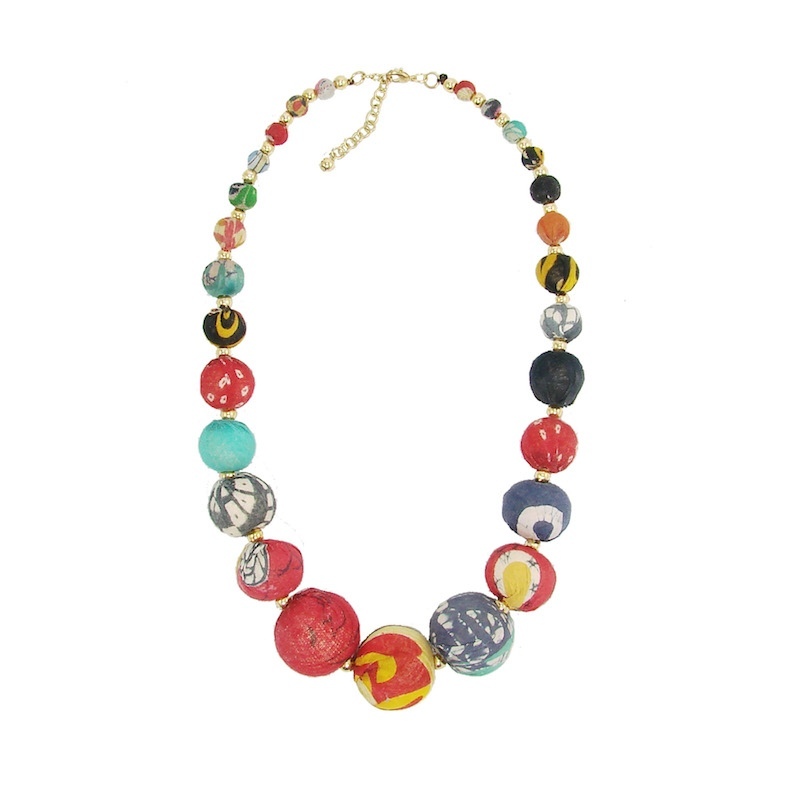 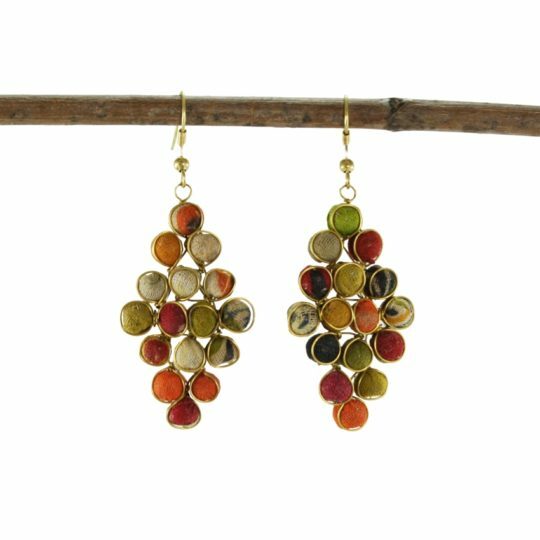 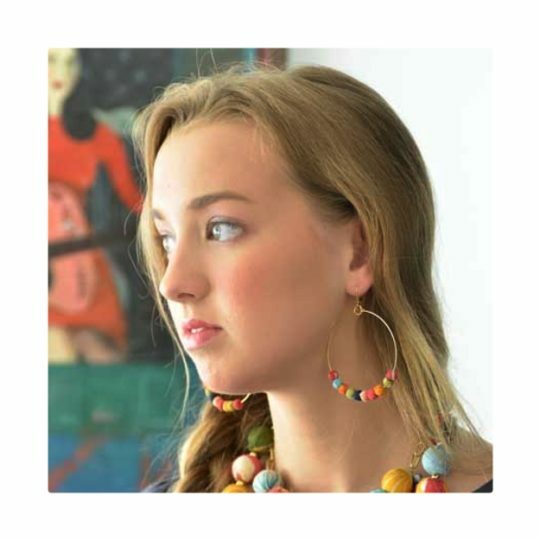 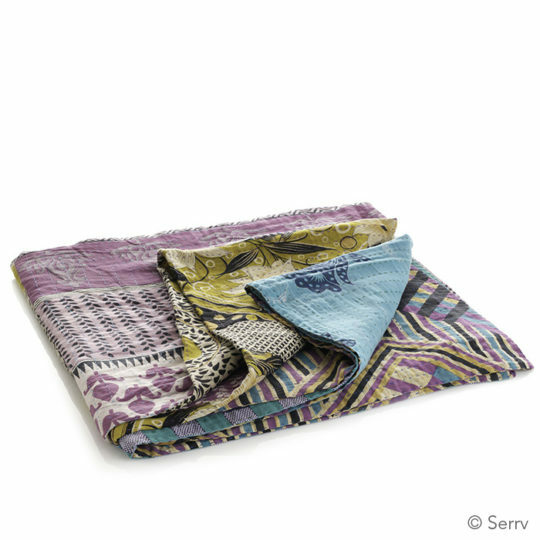 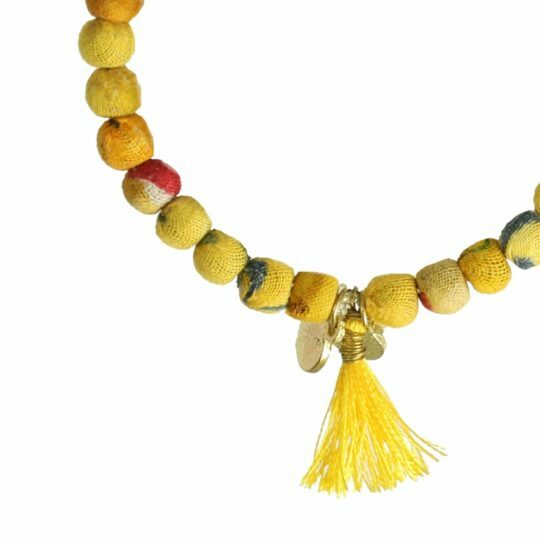 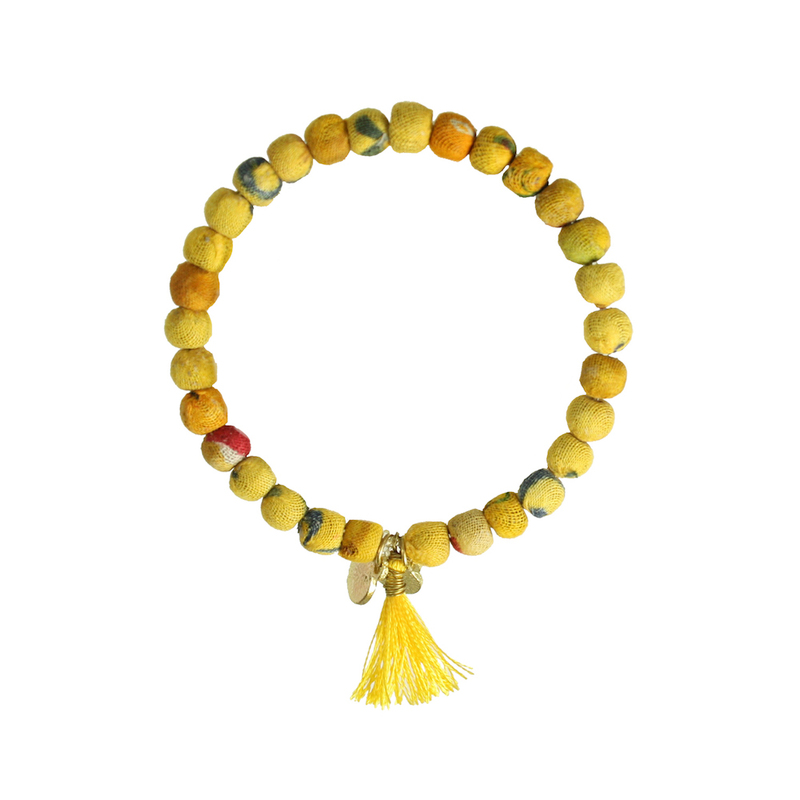 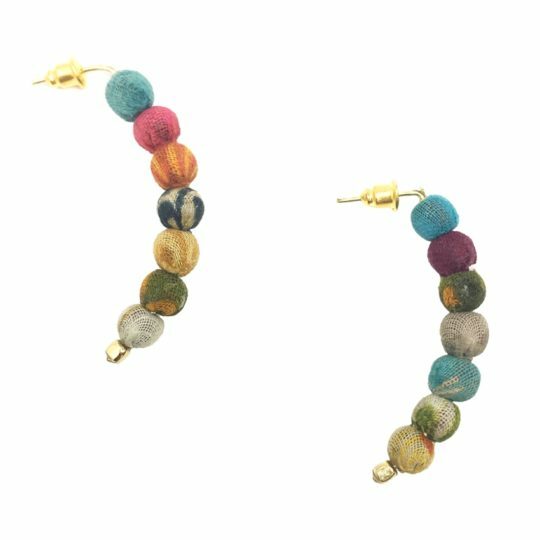 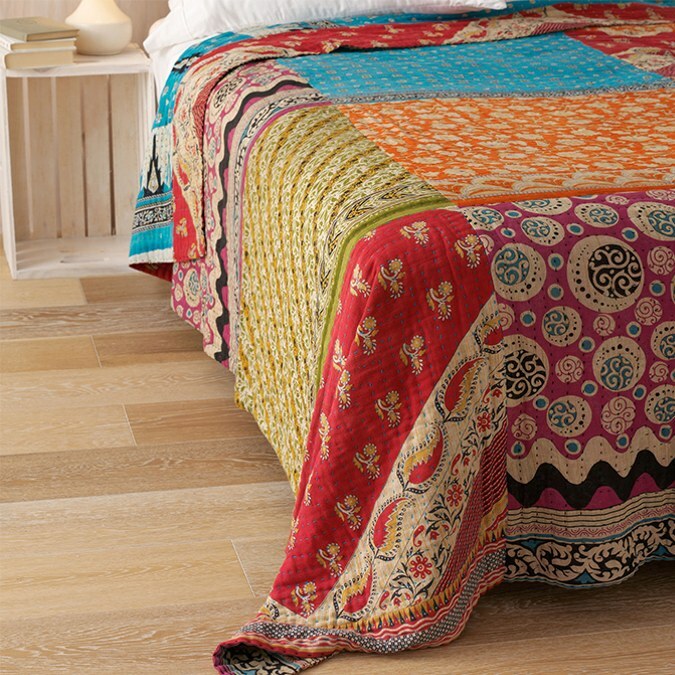 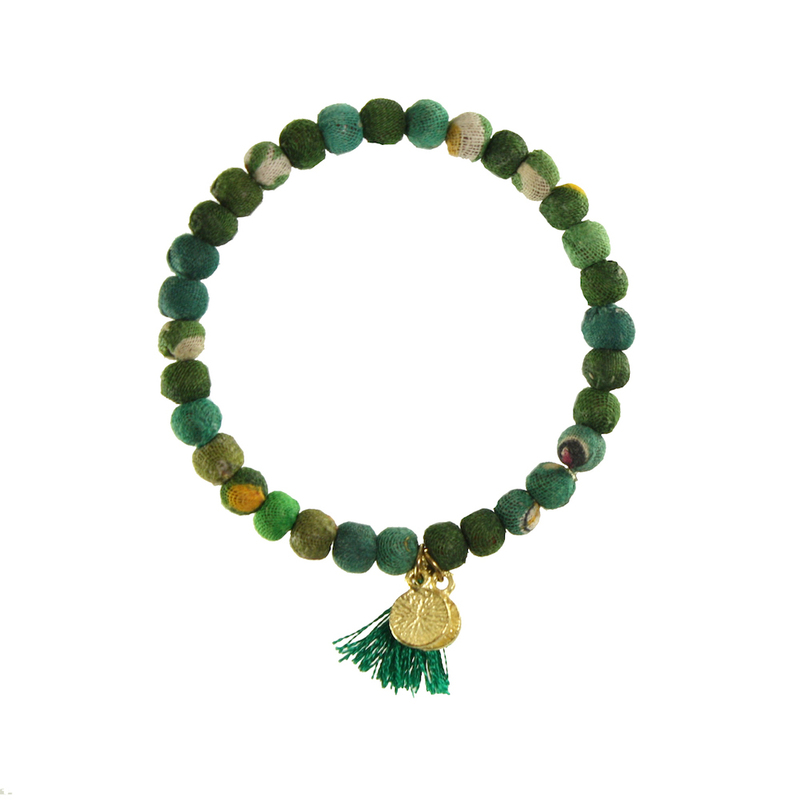 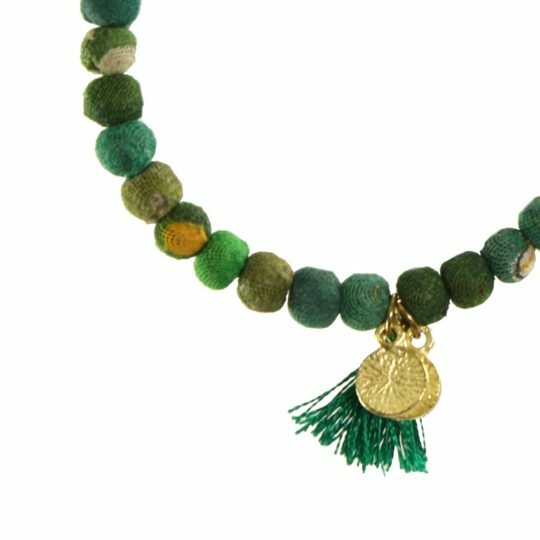 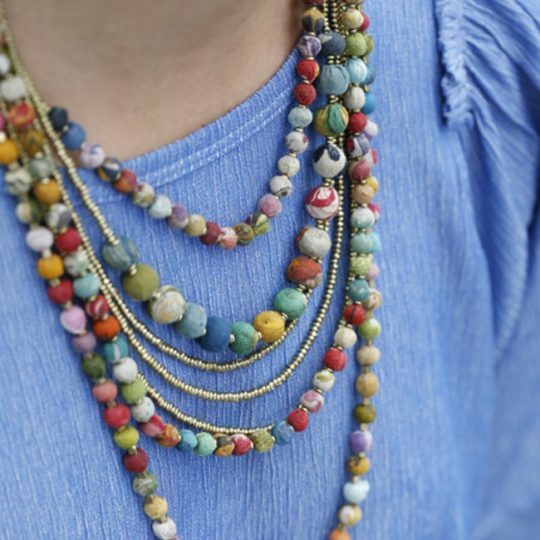 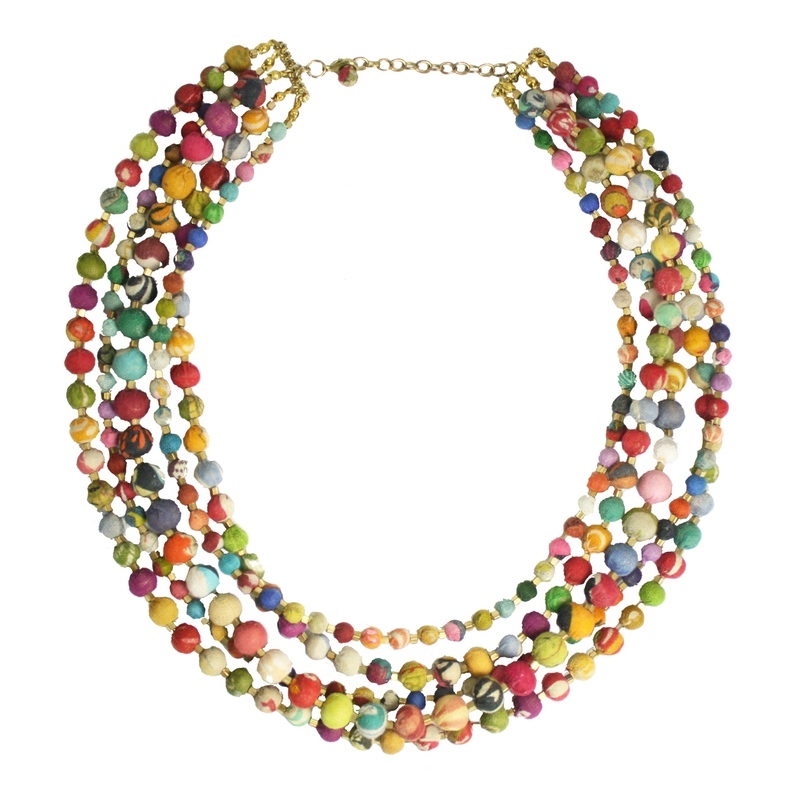 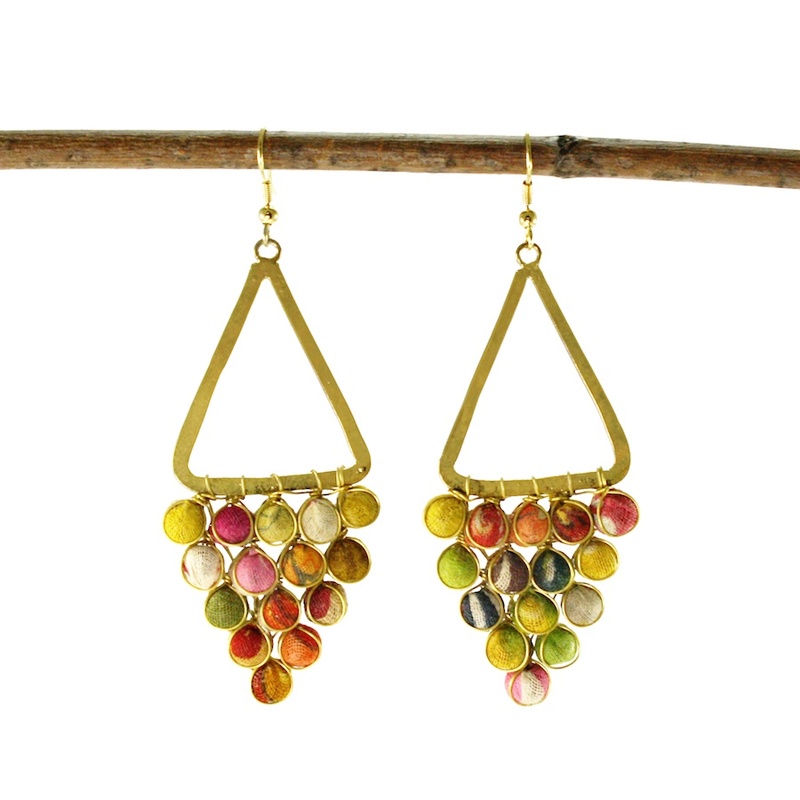 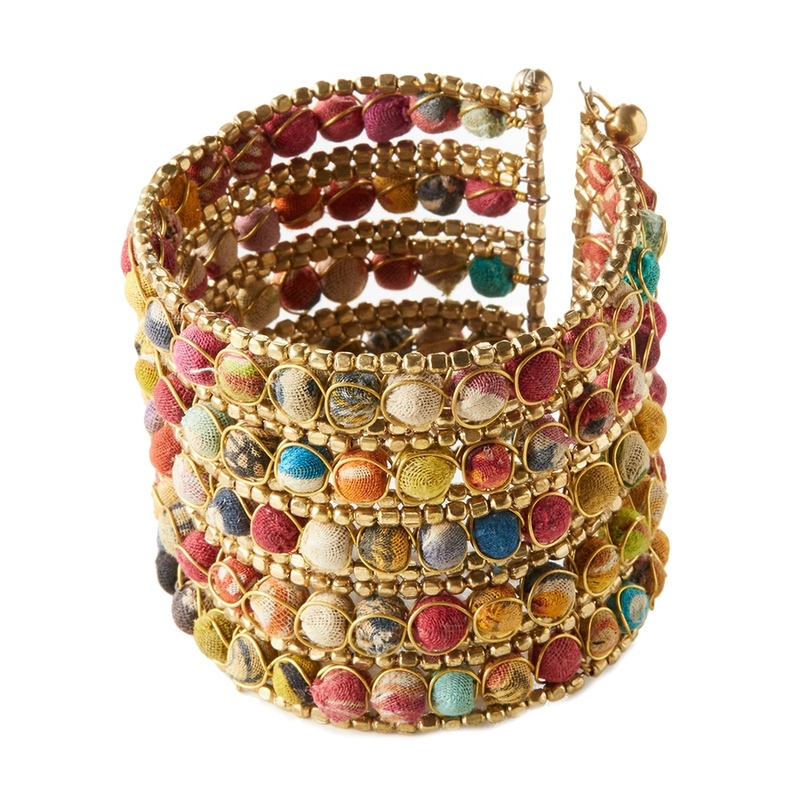 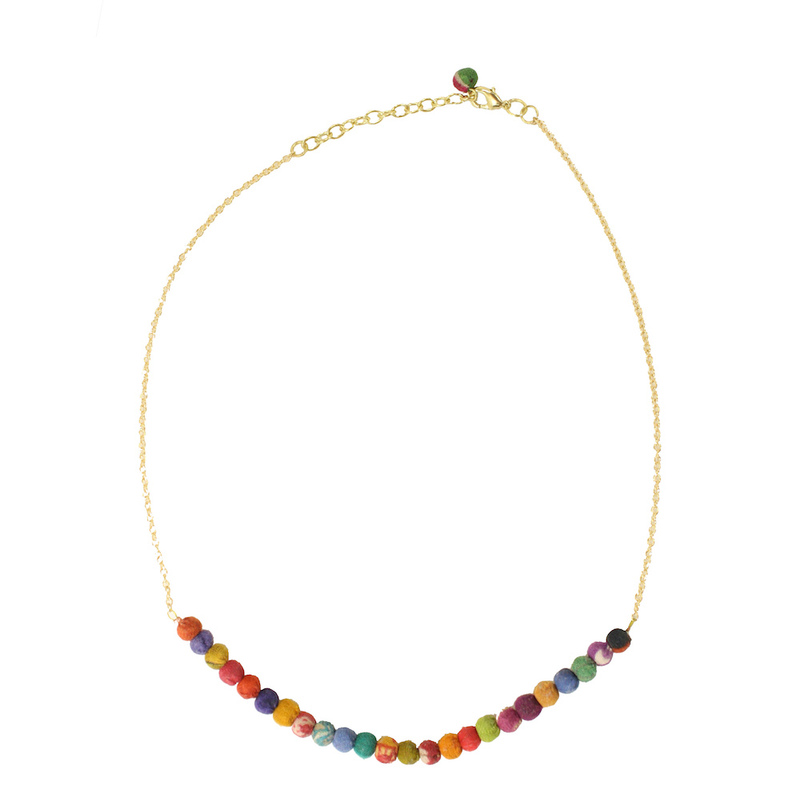 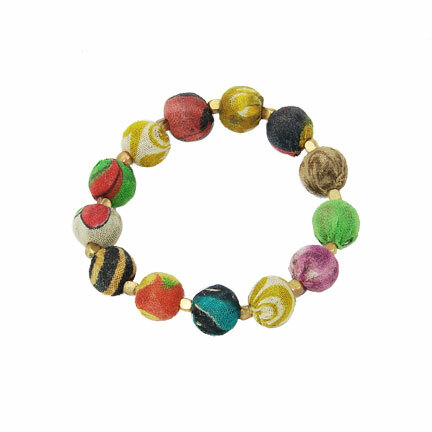 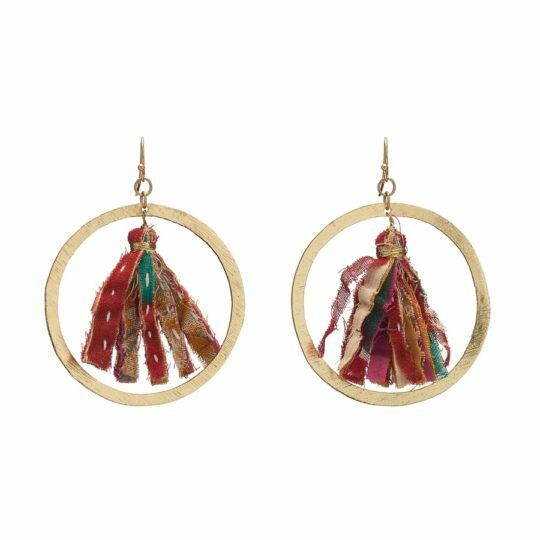 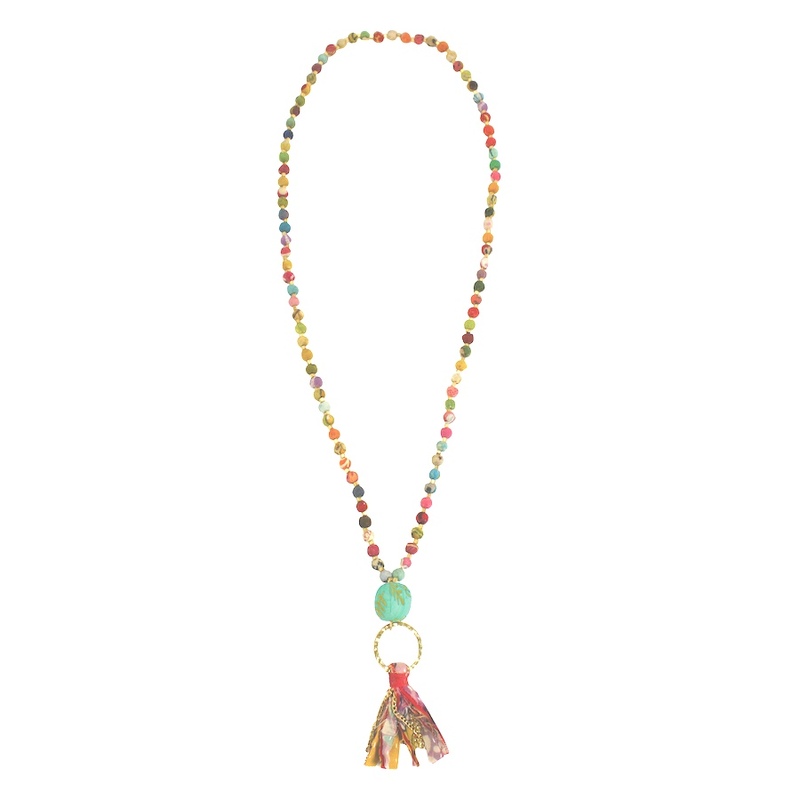 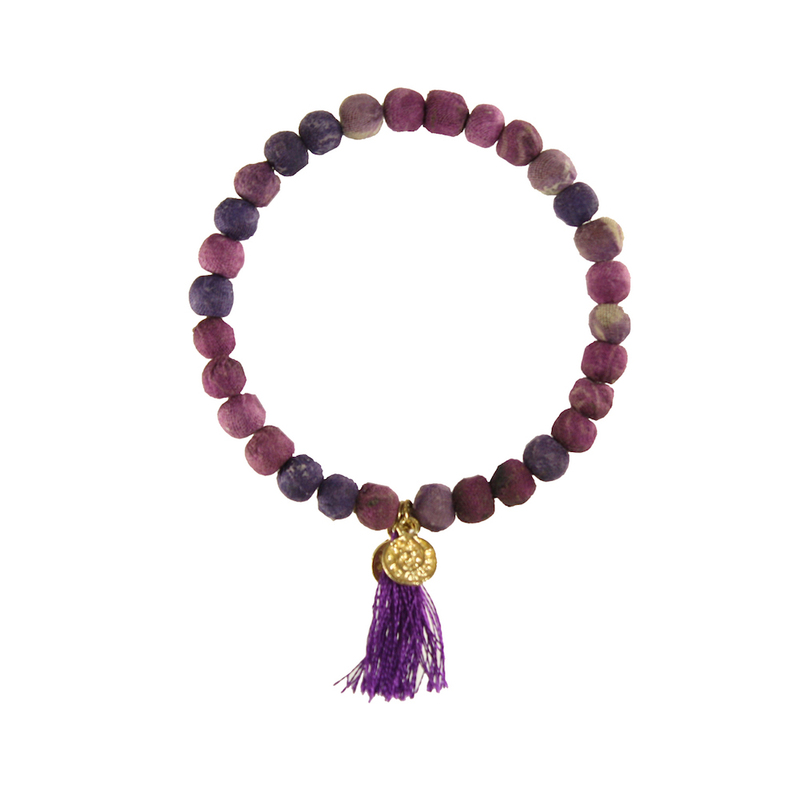 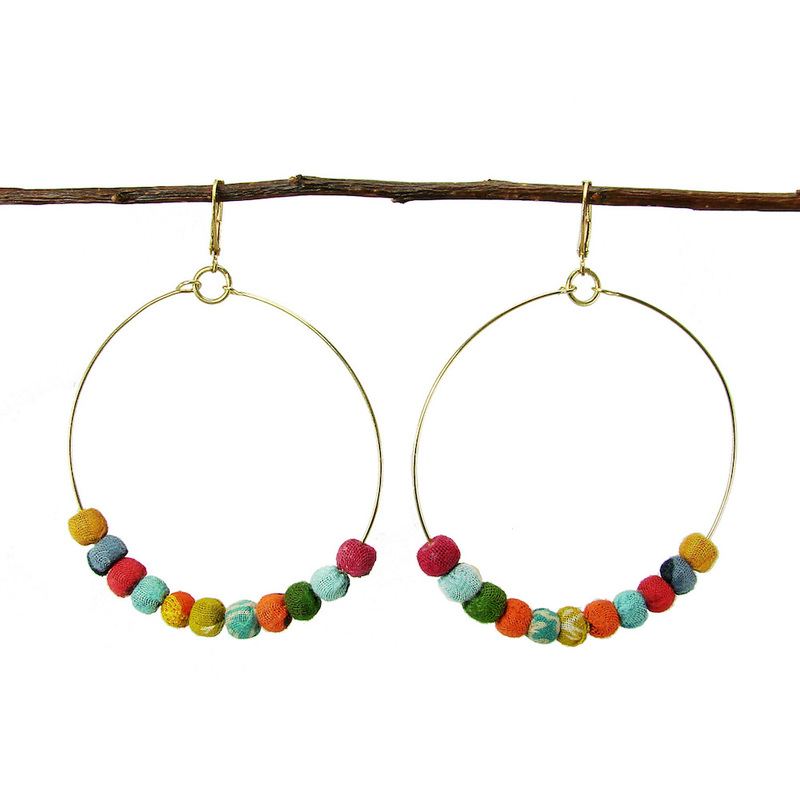 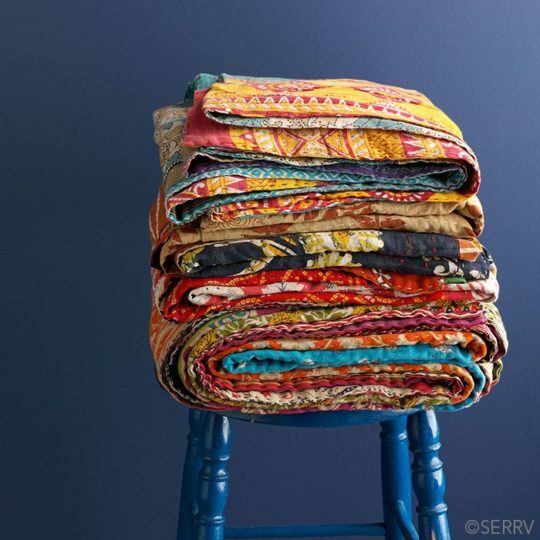 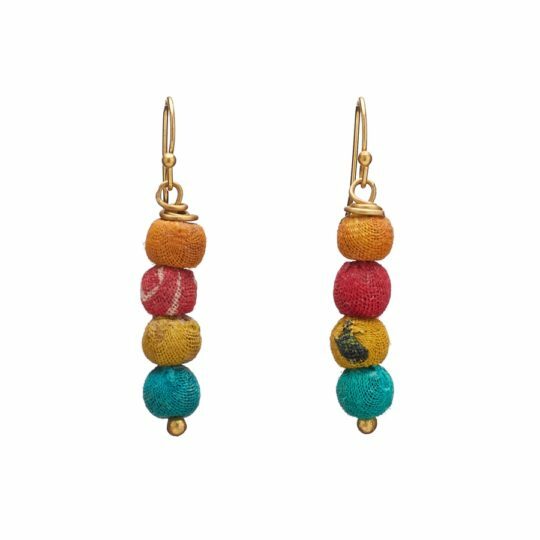 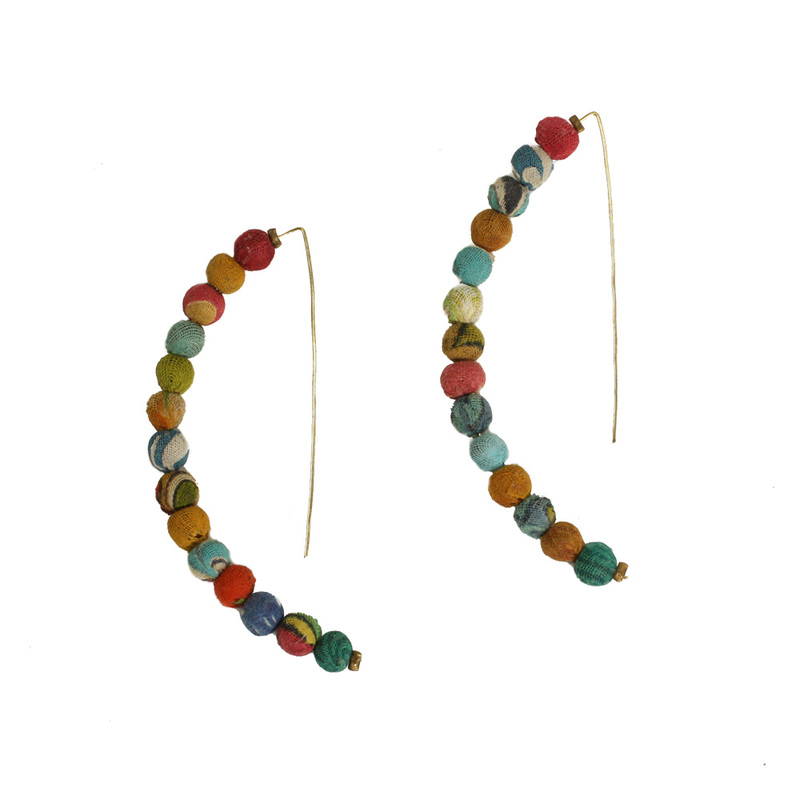 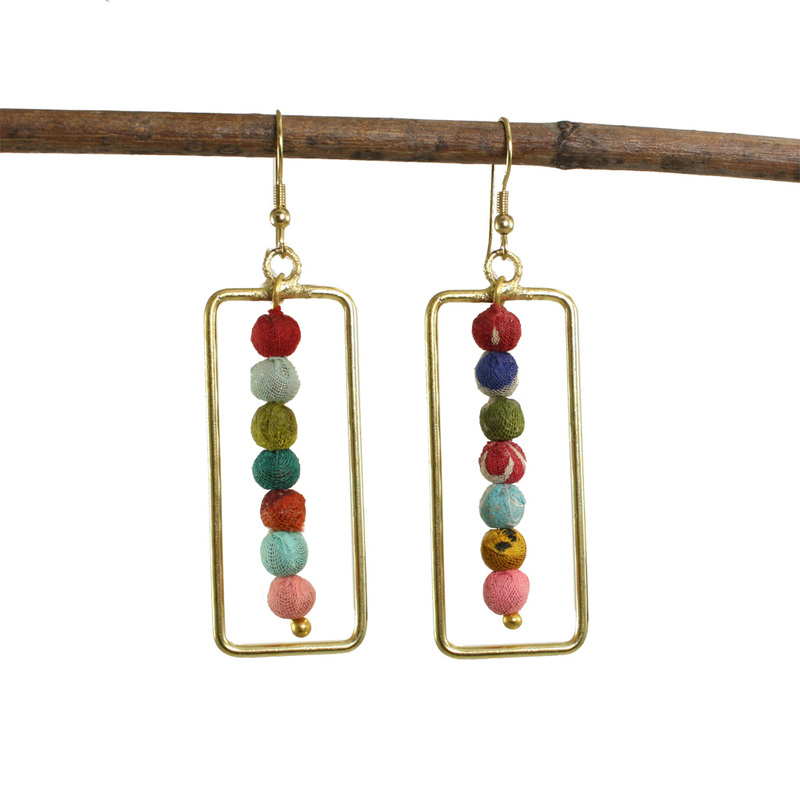 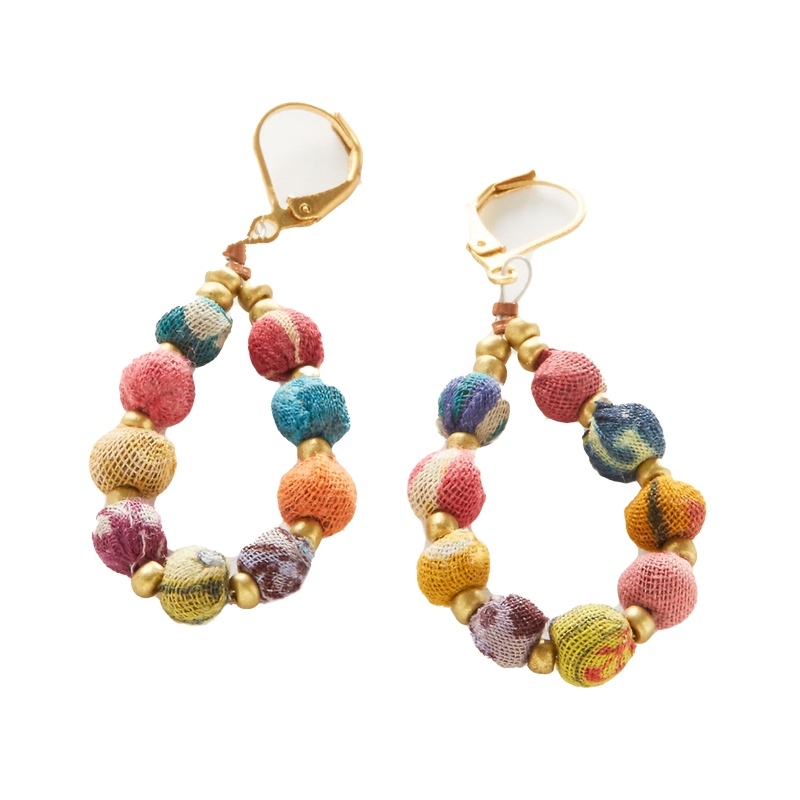 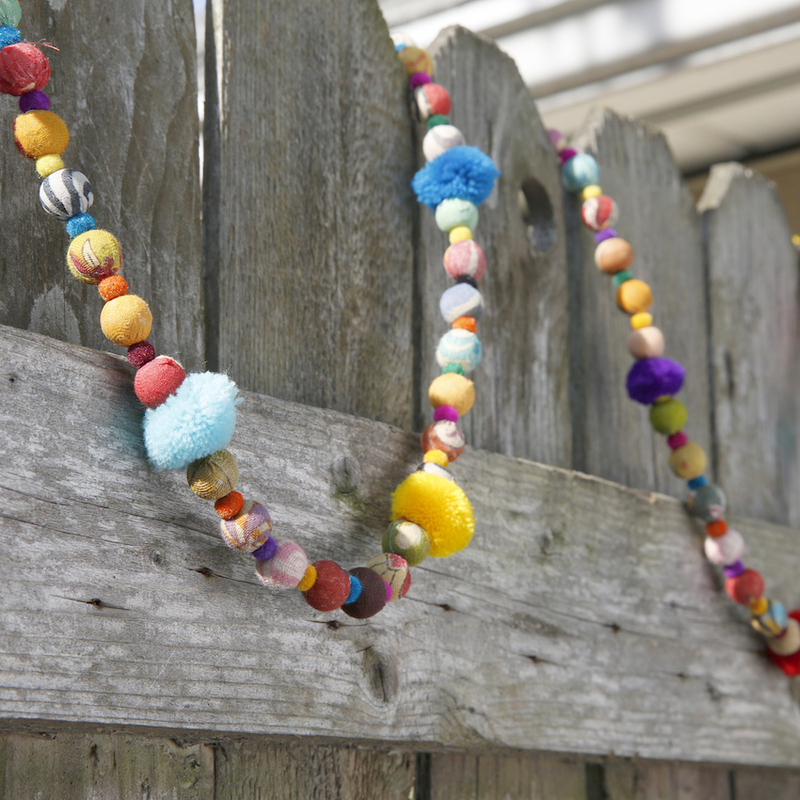 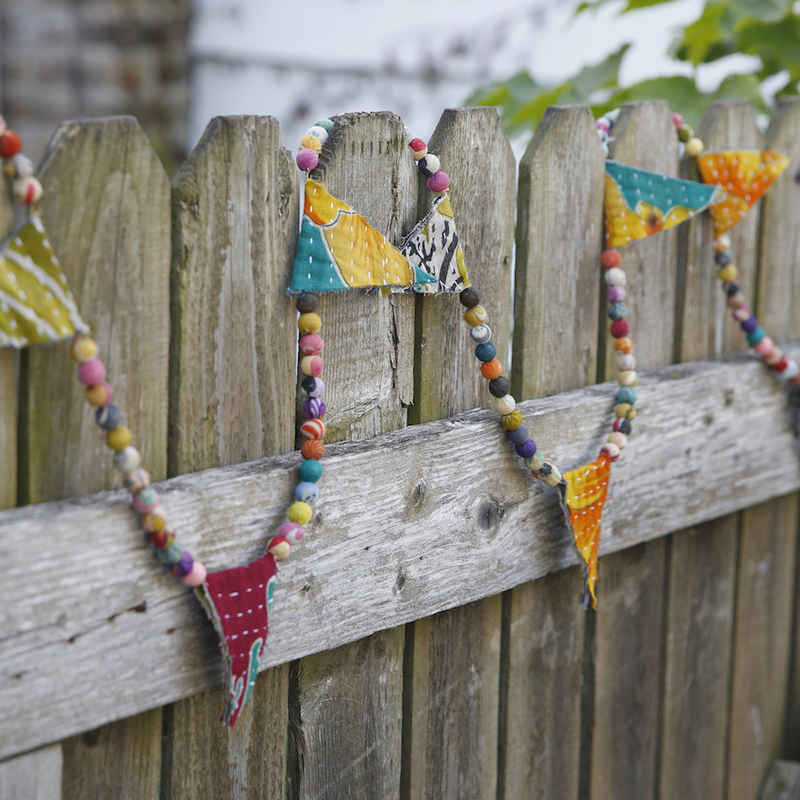 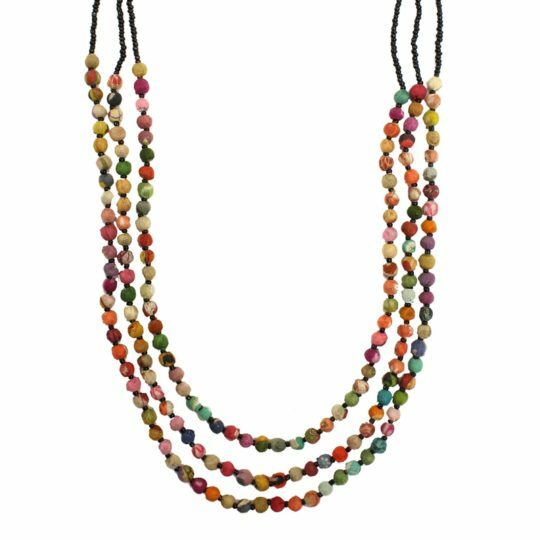 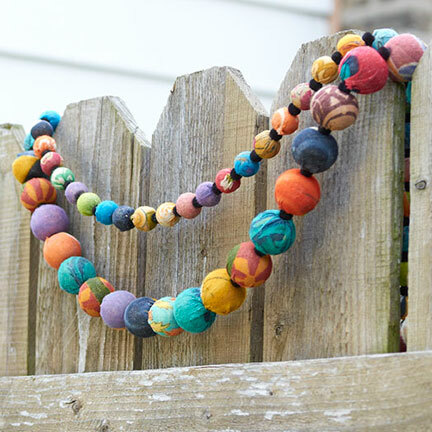 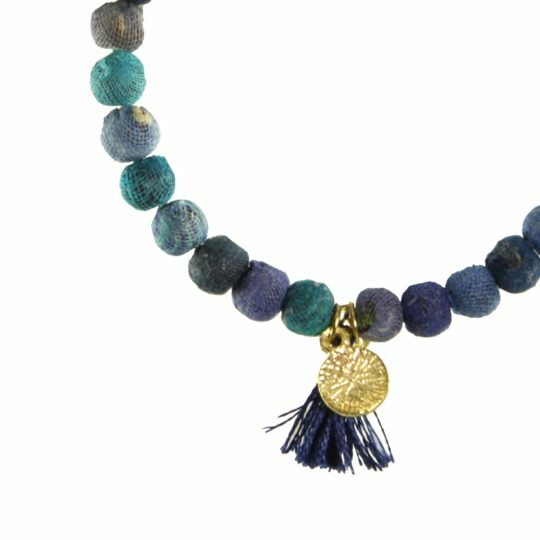 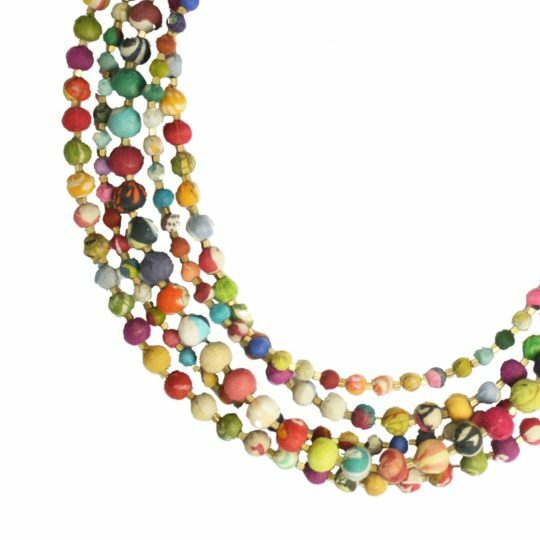 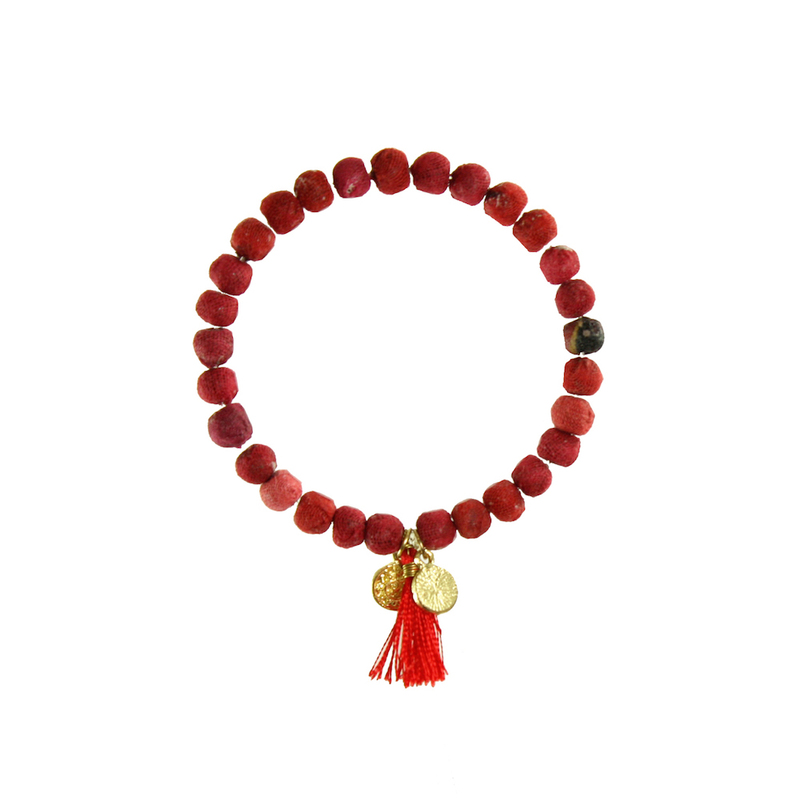 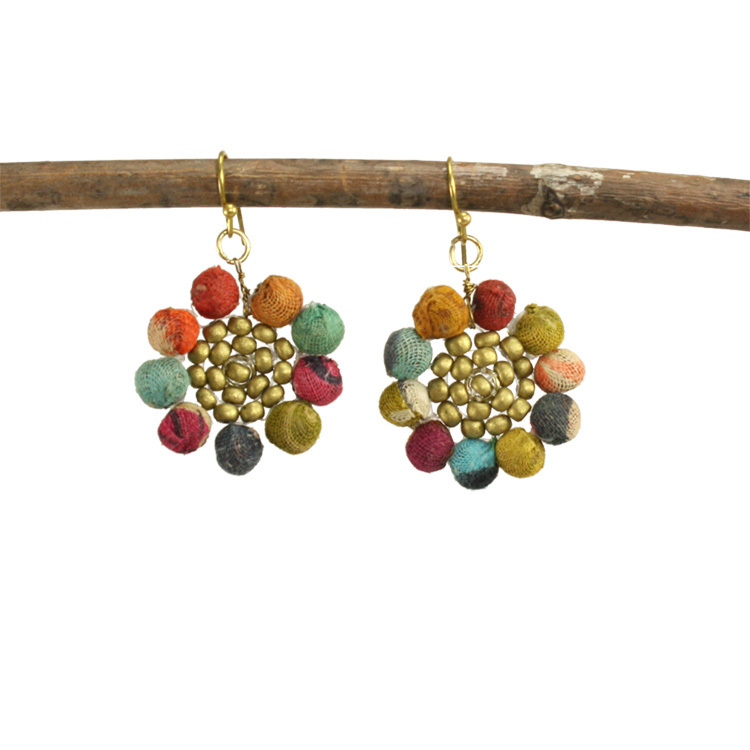 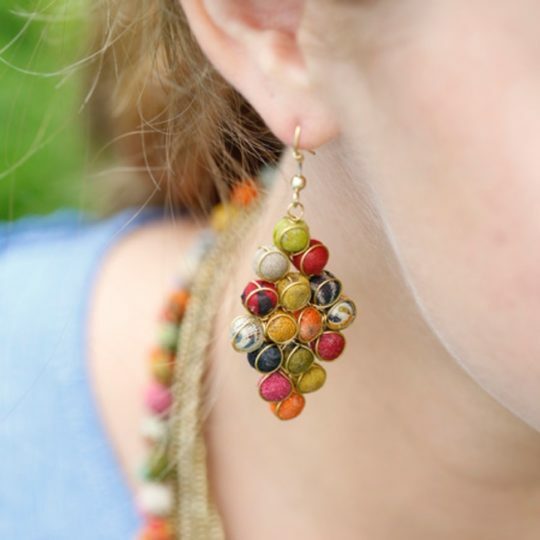 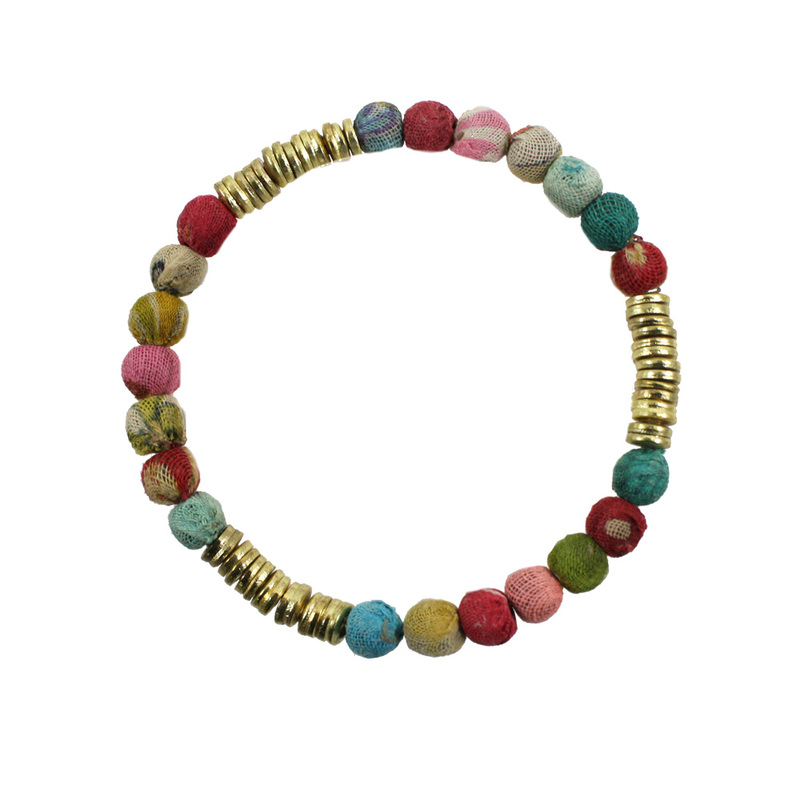 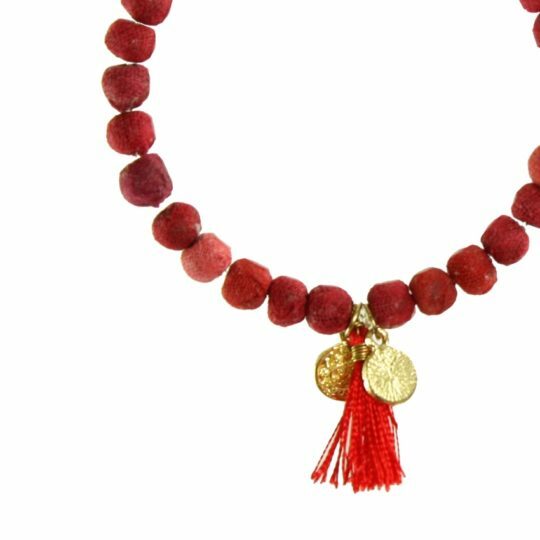 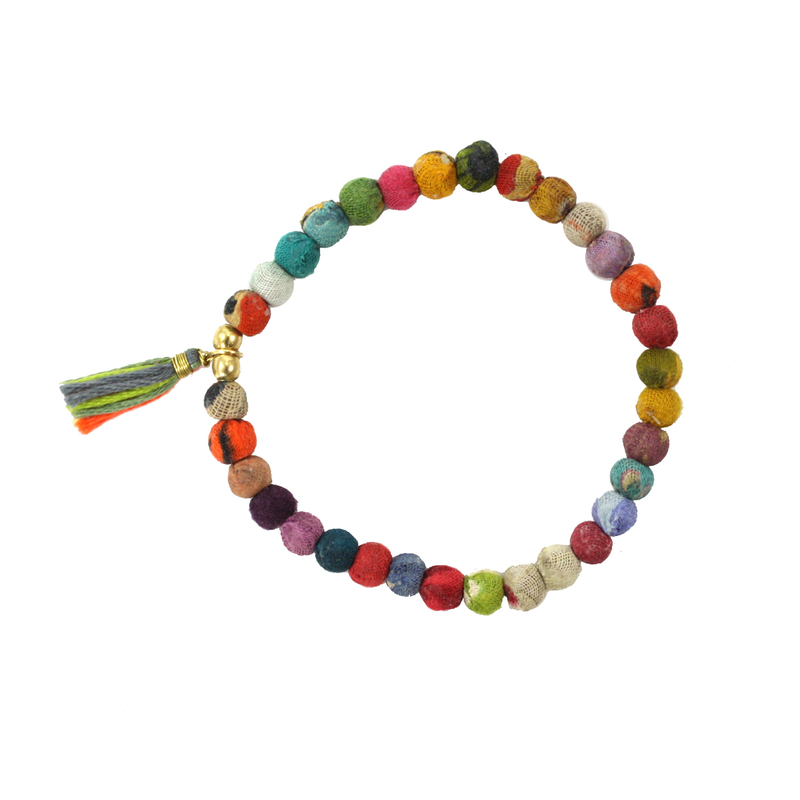 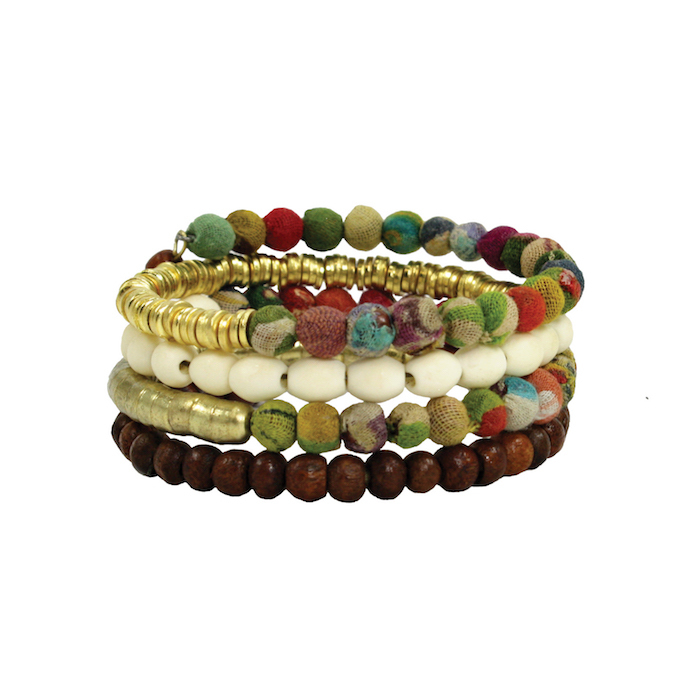 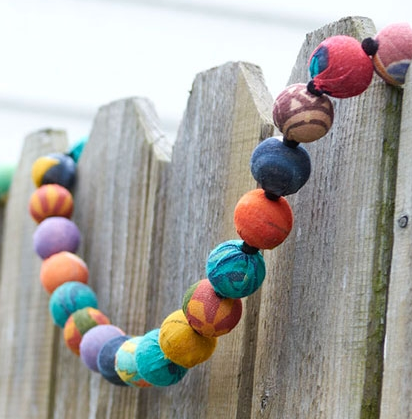 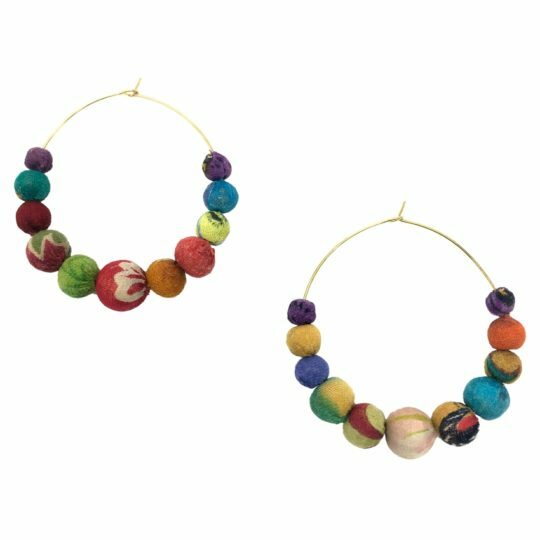 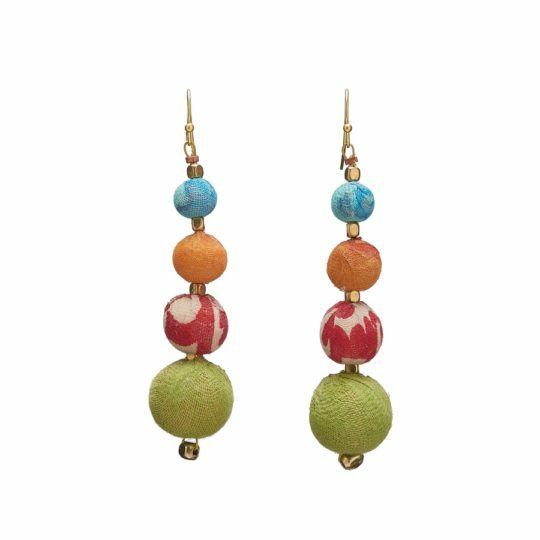 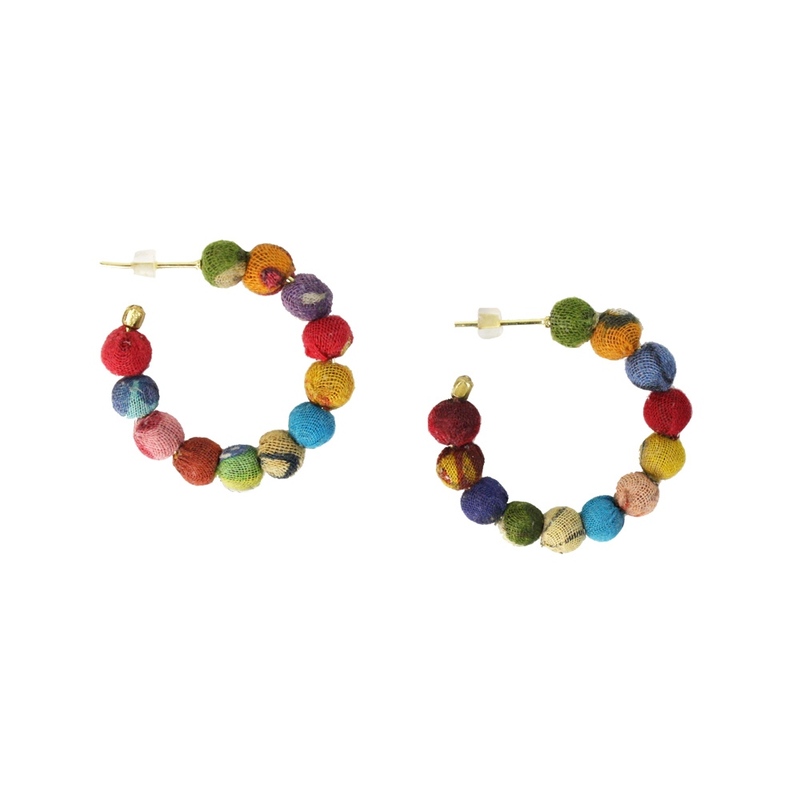 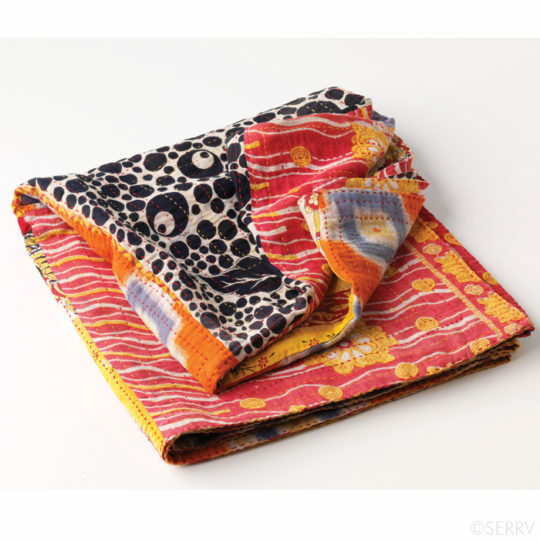 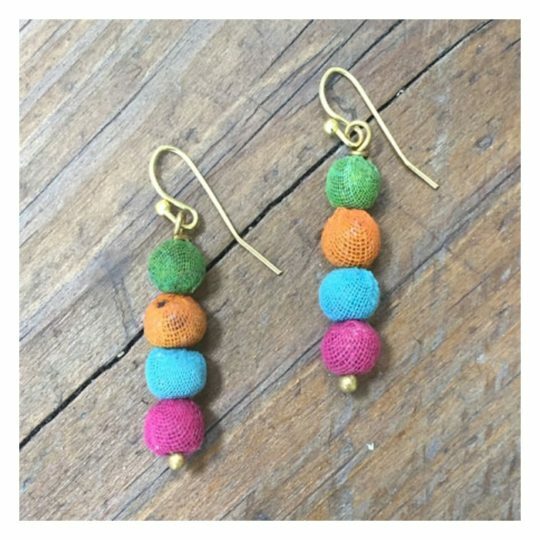 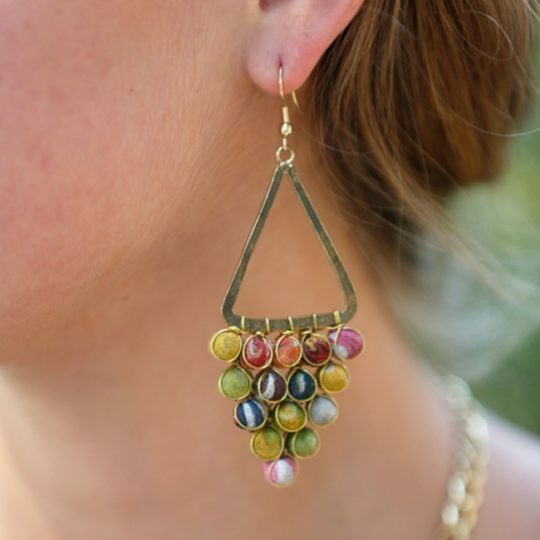 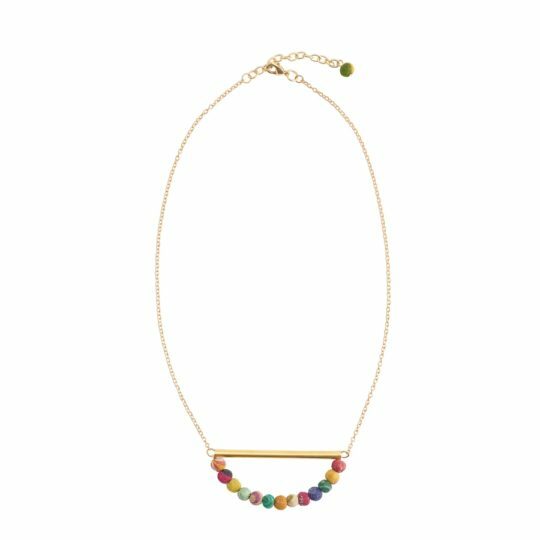 This versatile piece features a mixture of matte gold and colorful Kantha textile beads, interlaced with multicolored tassels. 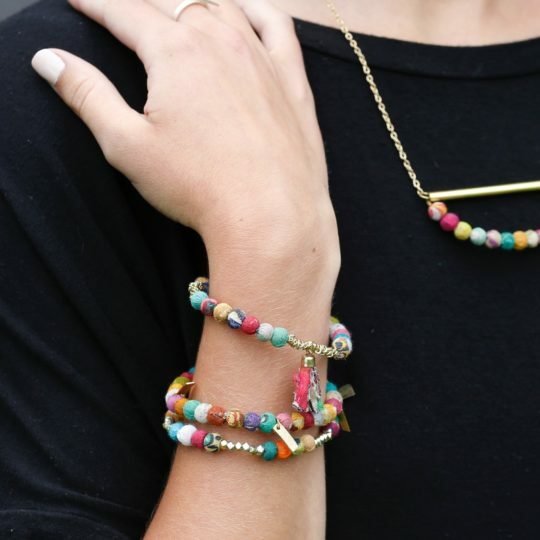 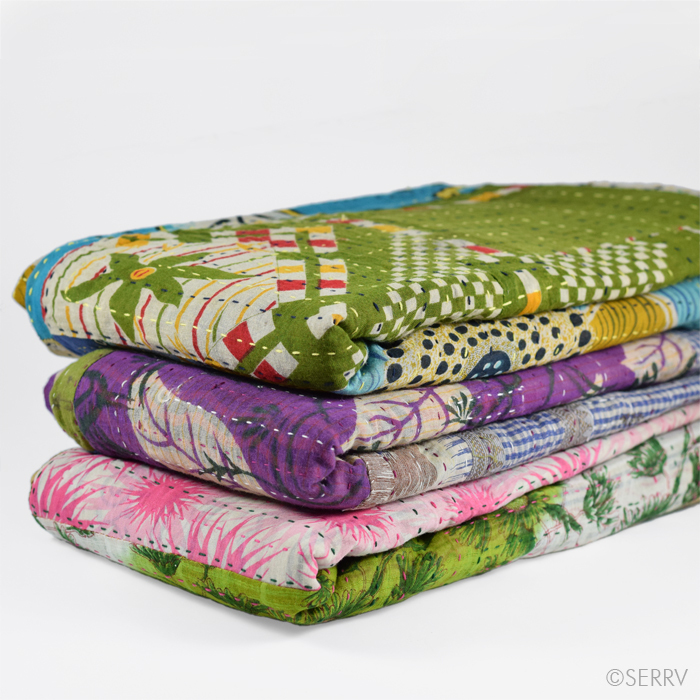 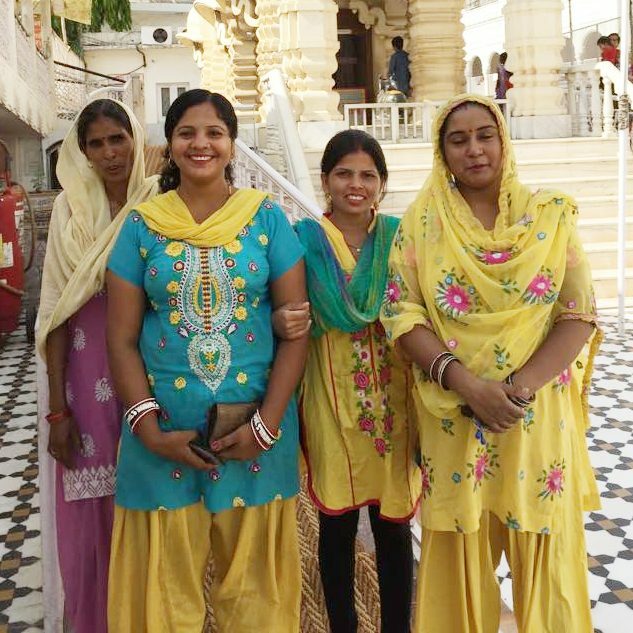 Perfect to add a pop of color to any outfit. 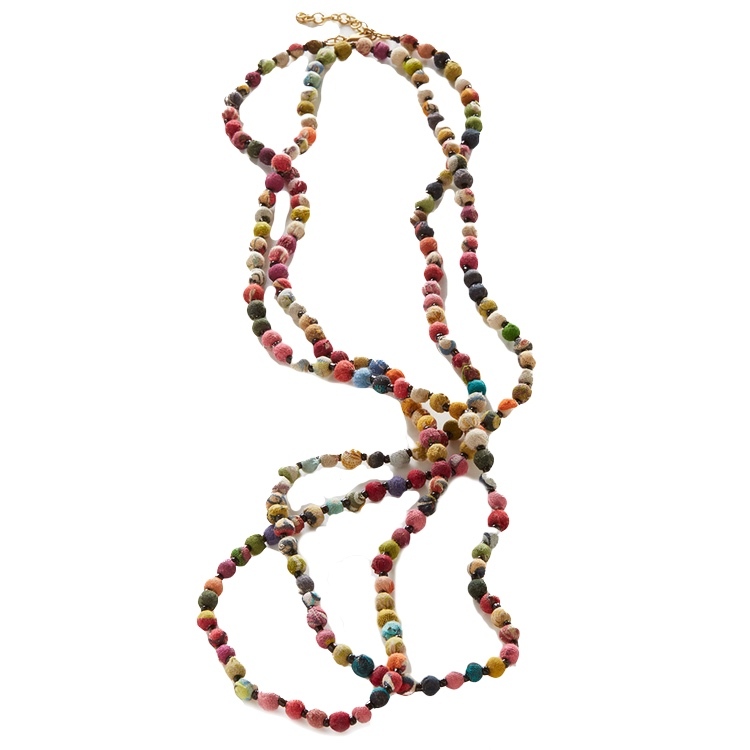 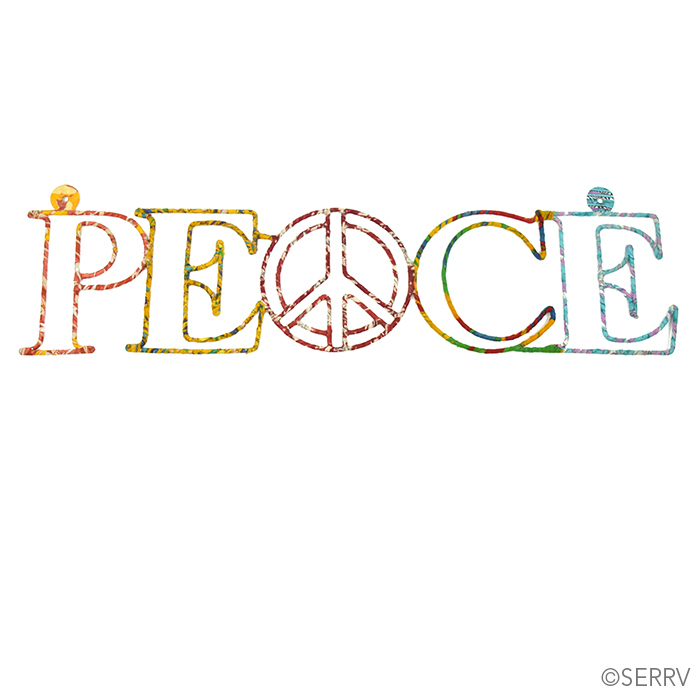  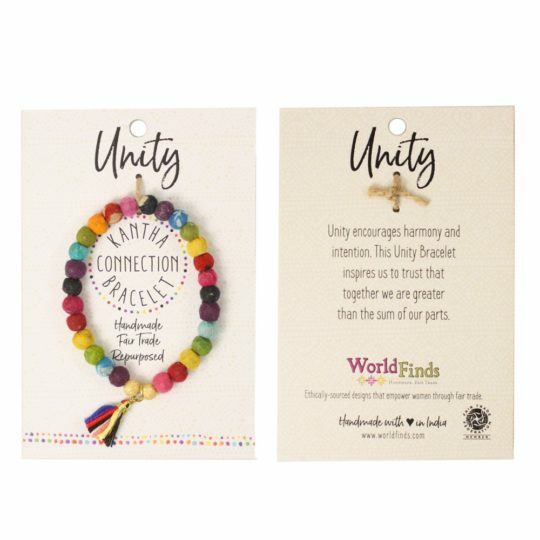 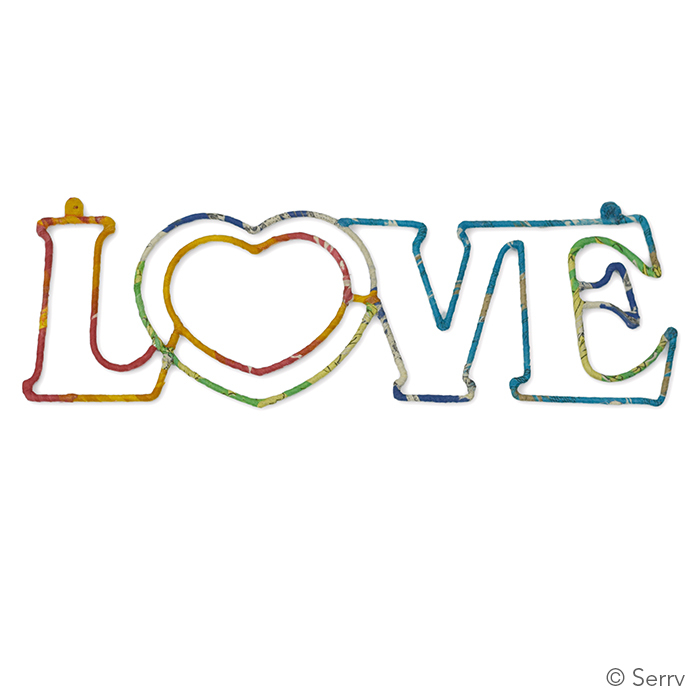 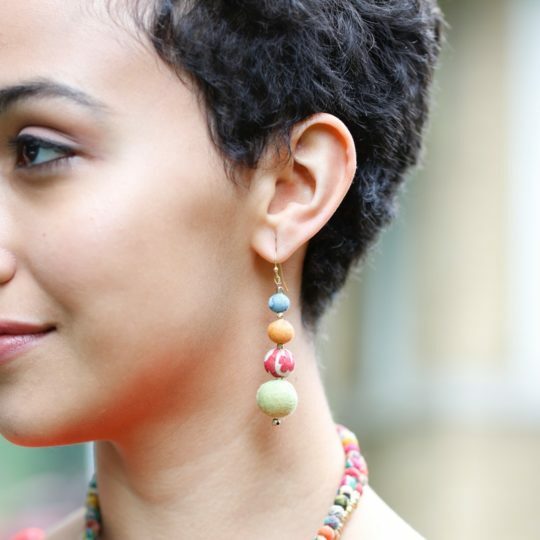 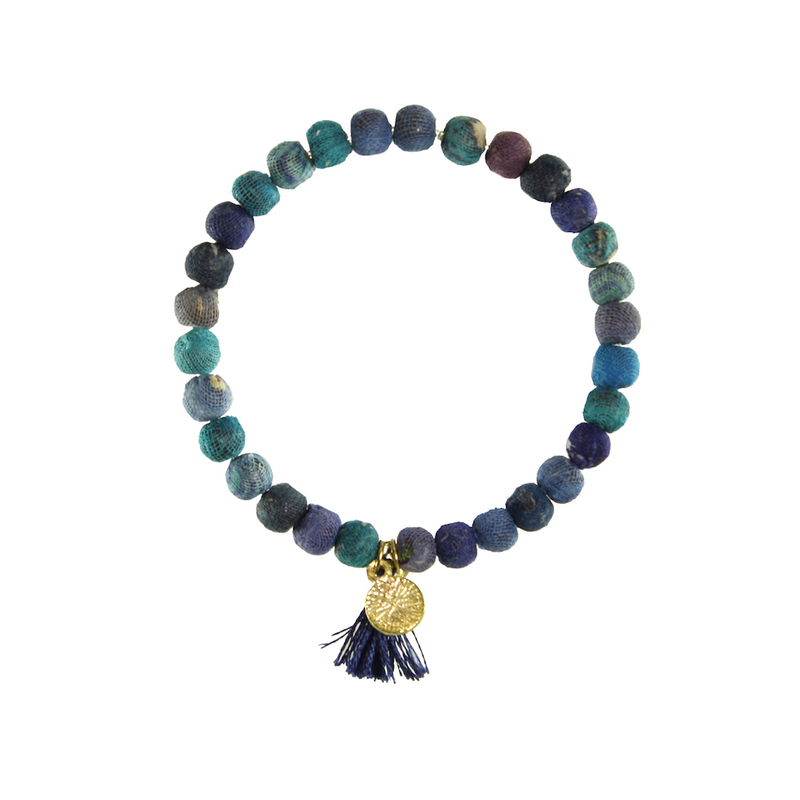 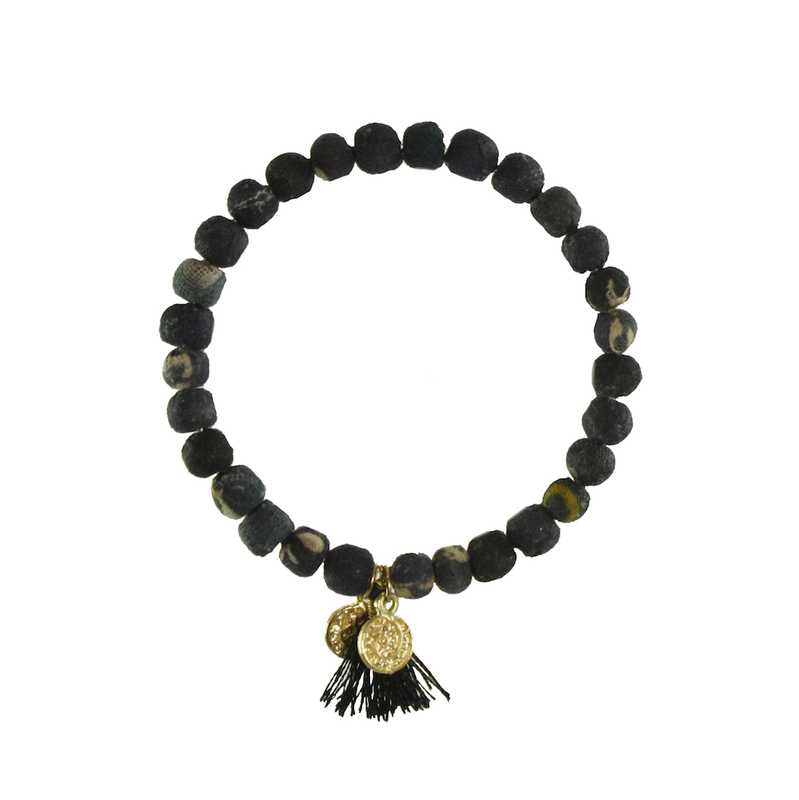 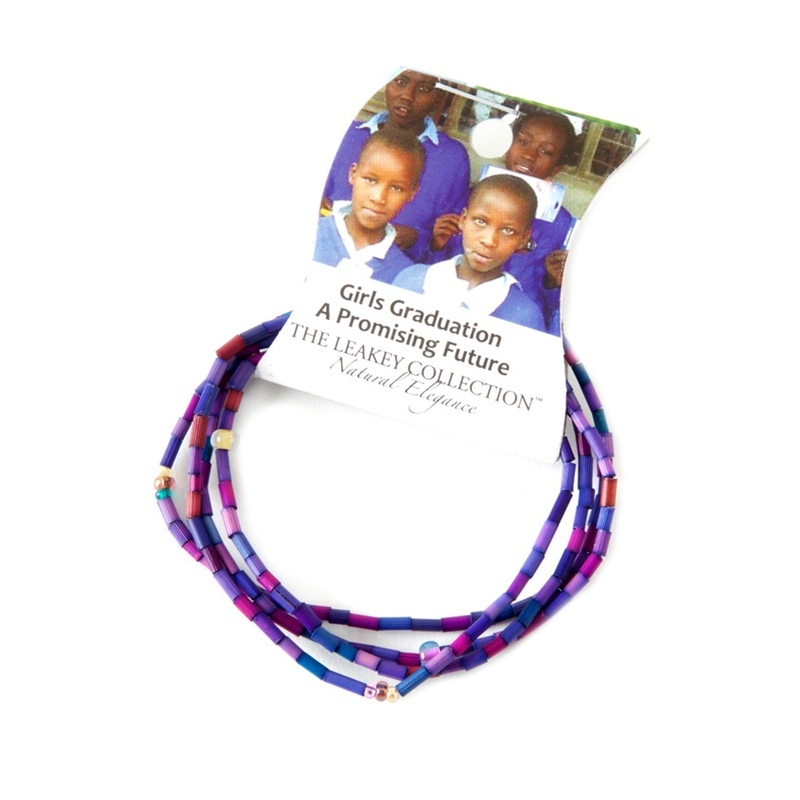 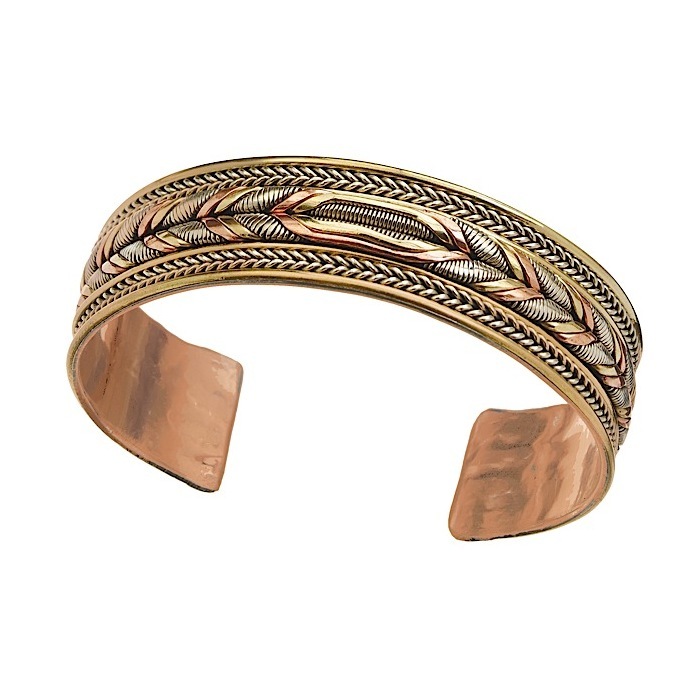 This stretchy strand can be worn as a necklace or multi-wrapped into a bracelet.